breast cancer | Sophisticated Diva ~ A.K.A. Along came Polly! Miche Bag hope shells September 2011! Get ready for the hottest new Hope shells yet! I’ve loved each and every one of the Hope releases, but my customers are telling me that they LOVE the new HOPE! Remember, Your purchase of the HOPE shell contributes to cancer research! 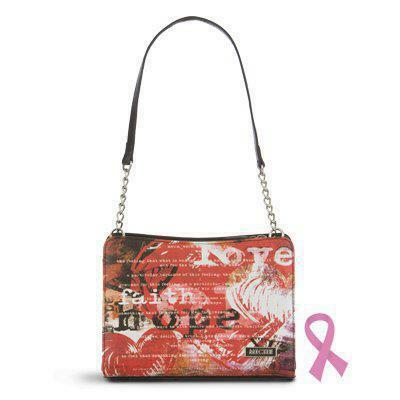 $5.00 from every Miche bag hope shell is donated to the Huntsman cancer research center, to provide HOPE to patients undergoing cancer treatments by supporting research. Fabulous new products and exciting changes come to Miche! These new bases and shells will be on my website starting September 1st ~ http://www.my.michebag.com/polly_workingerThere are new Hope shells this month as well, and two new prima shells, 2 classic shells, and a new mini shell! Personally, I love the leopard print, and can’t wait to get my hands on it! These shells are very sassy, and fall in line with fall fashion 2011!The last thing I’d like to share with you is that Miche bag is now transitioning to a true “party plan” company. This is great news for everyone, including customers that want their product in a timely manner, and making sure that all customers have the opportunity to purchase Miche products when released–this transition will take time, but business will continue as usual during the process. Stay tuned for more Miche news!